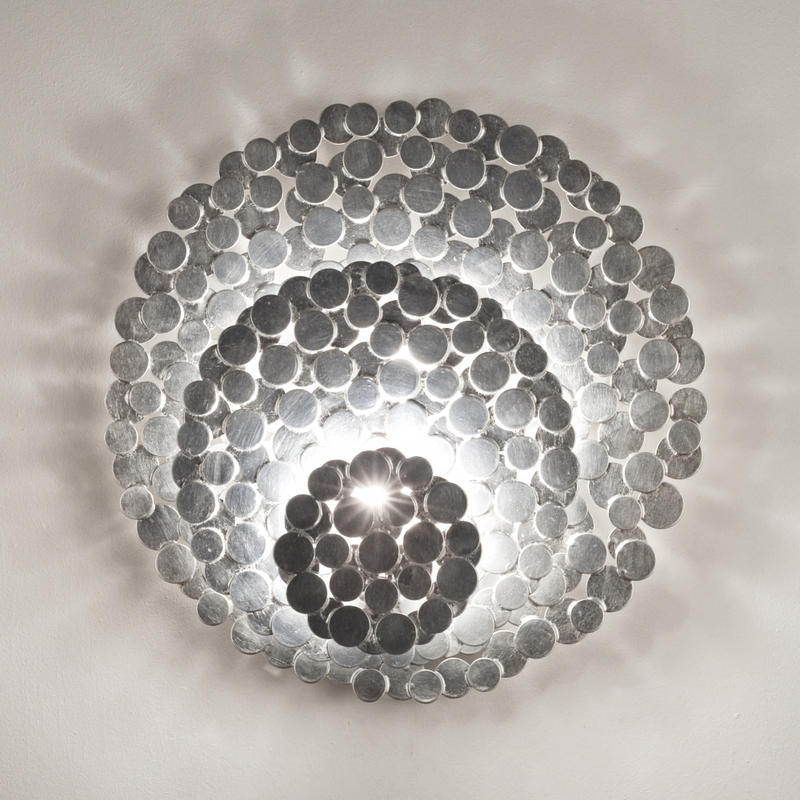 An impeccable addition to any space, Tresor’s hand-made design and precious metal “coins” create scintillating halos of light. Recalling discovered treasure, the layers of gold or silver leaf create a rich, luxurious light. Available in a range of sizes, including wall sconces and pendants, tresor has an elegance that is truly priceless. Design JF Crochet.